This private St Petersburg Cruise Excursion will give you an opportunity to see all highlights of St. Petersburg in just two days. During these exciting touring days you will be offered two pre-served traditional Russian lunches in the local restaurants/cafes. This is our most popular tour for cruise passengers staying in St Petersburg. The best of northern capital of Russia on this Te ultimate 3-day private tour around Saint Petersburg. Combine must-see and off the beaten path: river cruise, world-known cathedrals, royal palaces, the fortress, picturesque bridges and sculptures, historical downtown, finest landscapes, cozy nooks, local cafes and much much more! This program is perfect if you are staying overnight on a cruise ship or hotel and would like to visit the Faberge Museum during your time in St Petersburg. You will learn about the history of St Petersburg and its founder Peter the Great and how it changed from the Romanovs dynasty through to the Soviet Regime under Lenin and Stalin. St Petersburg is the cultural capital of Russia and this is an opportunity not to be missed. The tour includes a vist to the Hermitage museum, the fountain park in Peterhoff, Catherine Palace (and Amber room) as well as a Hydrofoil ride. This program is perfect if you are staying overnight on a cruise ship or hotel. You will see the most beautiful and significant sites of the city and it's surroundings without being rushed around. You will learn about the history of St Petersburg and its founder Peter the Great and how it changed from the Romanovs dynasty through to the Soviet Regime under Lenin and Stalin. St Petersburg is the cultural capital of Russia and this is an opportunity not to be missed. 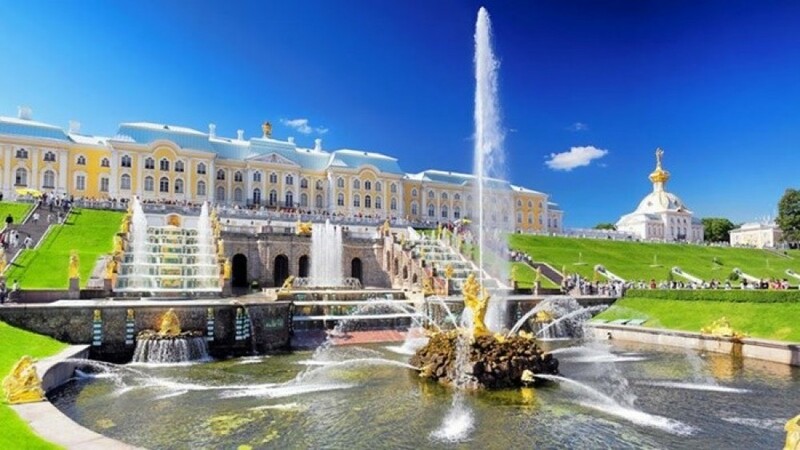 The tour includes a vist to the Hermitage museum, the fountain park in Peterhoff, Catherine Palace (and Amber room) as well as a Hydrofoil ride. The only 2-day tour that takes you inside the Faberge Museum with one of the greatest Faberge Jewels collection which is not to be missed! Among other sights, you will also see Peterhof park, St Isaac's Cathedral, Peter and Paul Fortress as well as the Hermitage Museum and Catherine's palace & park. No Russian Visa required. This small group (max 16 people) St Petersburg Cruise Excursion will give you an opportunity to see all highlights of St. Petersburg in just two days. During these exciting touring days you will be offered two pre-served traditional Russian lunches in the local restaurants/cafes.